Please read the following information and email me at RestorBabs@aol.com when you are ready to make an appointment. I am only able to receive packages via US mail postal service. Pick-up/drop-off service is not available. Please ship your entire doll. This is very important so I do not have to handle the head and hair (and no clothing or jewelry, please -- just in case). Please only send boxes that I may dispose of (not a special box that needs to be returned). Please use white tissue and/or bubble wrap, or other plain packaging paper. 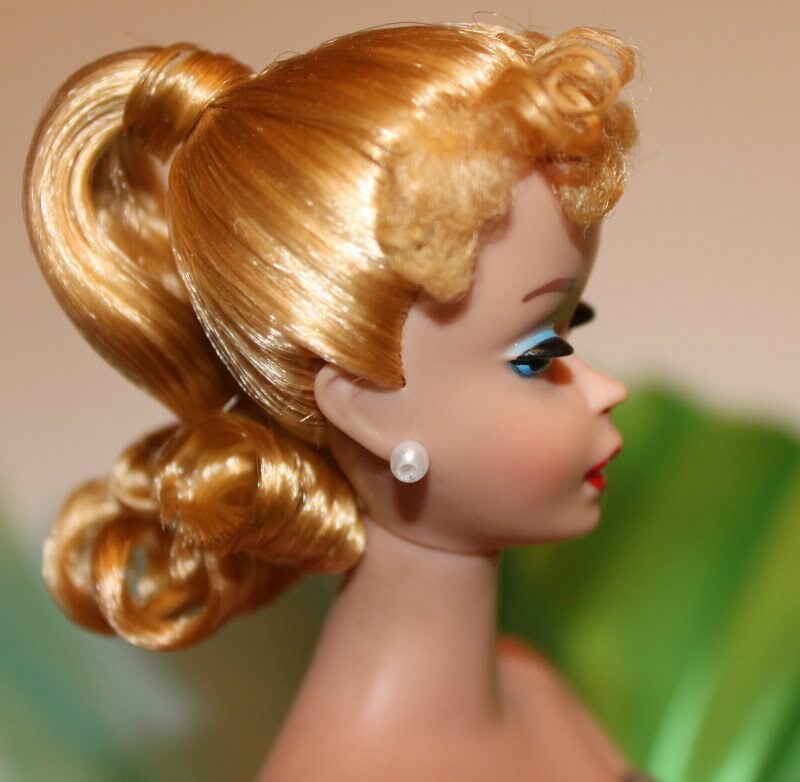 Newspaper or colored tissue paper will stain your doll's vinyl. If shipping more than one doll, please send them all in one package only. There is no need to send any payment with your doll(s). After I take a look at everything in person, I will email you with a proposed restoration list and then payment (check or money order if in the US, bank transfer or money order if outside the US) may be sent at that time. Thank you! For those within the U.S.A. I recommend shipping via Priority mail with free online tracking. The post office provides a free, sturdy, priority shipping box. Priority mail with online viewable tracking is an excellent, very secure service. Please do not send mail via Registered, Certified, Return Receipt (green hard copy) or Restricted Delivery as these services will greatly delay pick up of your item. I will email you as soon as possible after your package is in my possession if you name/email address is on your return address label. If there is no way to identify the sender on the return address, I will contact you after I open your package for assessment. For those living outside the U.S.A. I recommend shipping via priority airmail. Please write: 'used, broken toys for repair' on the customs form. When I return your package I will indicate that I am returning used toys to their original owner, after repair. Please email me if you have any questions or would like my address to begin the restoration process. Barbie is now ready for her photo shoot.